More than 19 million worldwide are set to participate Thursday in the Great ShakeOut Earthquake Drills, an annual event that promotes earthquake preparedness. At 10:20 a.m. local time, participants in homes, schools and businesses will practice the “drop, cover and hold on” drill, which involves dropping to the ground, crawling for cover under a nearby desk or table and holding on securely until the earthquake stops. 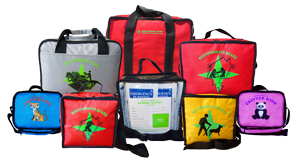 The ShakeOut began in Southern California and has since grown to include participants across the USA and in Japan, Southern Italy, New Zealand and parts of Canada. Thursday is International ShakeOut Day, but people can hold ShakeOut drills any day of the year. More than 52 million people around the world are participating in a ShakeOut Earthquake Drill of some kind in 2016, with more than 19 million participating on Thursday. 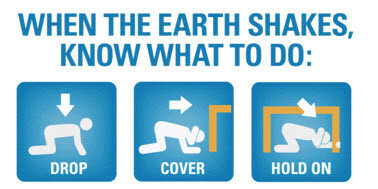 Great ShakeOut Earthquake Drills are organized by state, regional, and federal governments, as well as educational institutions in coordination with the Southern California Earthquake Center.